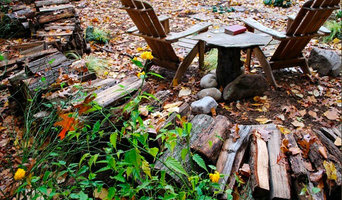 I blend the ancient ways with the gifts of the earth to design outdoor spaces with the intent of elevating the soul. Throughout my education and career, I have concentrated on ecological design and maintain a high sensitivity to the environment. My goal is to bring peace and the healing elements of the earth to support you on your journey through life. I have degrees in horticulture and landscape architecture, studied shamanism and aromatherapy and have worked in the green industry for 20 years. Most recently, I have been exploring the relationship between landscapes and well-being. David has designed hundreds of landscapes and gardens in the DC metro area over a career of 30 years. Selecting from various historic styles, PostModern Landscape Architecture will design a landscape that is appropriate and purposeful reflecting the local architecture and geography and the client's cultural background. A well-designed site answers the visitor’s questions. Are we at the right location? Where do I turn in? How far will I have to walk and by the way, where is the front door? Where can I park? The answers to these questions should be immediately determined and can be done so with intelligent site planning. Thorough site planning is critical to a project staying on time, on budget, and meeting goals of all stake holders. With PostModern Landscape Architecture’s attention to detail, knowledge of environmental constraints and regulatory familiarity, clients benefit in site planning. We focus on providing sound natural resource protection and site enhancement services for projects ranging from siting a single residence to multi-facility institutions. Landscape Designer Serving Silver Spring Area - Best of Houzz 2018! 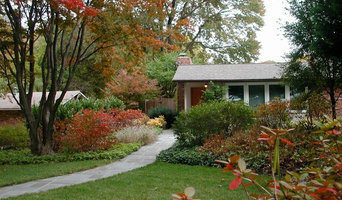 Montgomery County Landscape Architect 30+ Years of Experience! Landscapes can be beautiful AND sustainable. 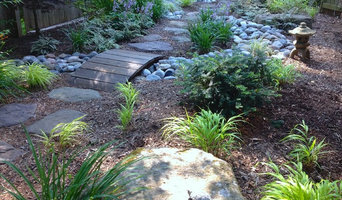 Eco-friendly landscape design for urban living. Creating habitat for wildlife, more sustainable drainage solutions, and gardens that need less maintenance and water. The fusion between nature and design is what our residential garden landscapes are all about. We design and supervise installations in Washington DC, Maryland, and Virginia. At Landscape Projects, we've worked for over 30 years with garden owners to create the garden of their dreams, winning multiple local and national awards along the way. Our mission is to design, build and maintain unique and outstanding residential gardens that combine our expertise and your personal vision. Whether your project involves starting from the ground up with a new site or working to improve and enhance the garden you already love, let us help you create your vision with our design/build division and care for it going forward with our maintenance division. We look forward to collaborating with you to provide our outstanding service and expertise. The work of this outdoor professional includes most everything surrounding a home's exterior. A landscaping architect can even work with the home architect to choose the right spot for your Kensington, MD house. From there the Kensington landscaper will develop preliminary concepts for your front or backyard design based on individual needs including the climate and activities that will take place, as well as layouts and planting plans. Landscape architects will also design any structures or outbuildings that will be added to the space. Any grading changes that will be added to the yard are also the responsibility of the architect. This includes any drainage modifications. An engineer can also be responsible for these tasks, but licensed Maryland landscapers are fully capable. Like building architects, they will produce preliminary concept drawings as well as detailed construction documents and planting plans. Three-dimensional renderings and illustrative plans are all supplementary. 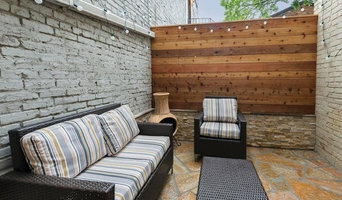 A Kensington landscaping designer generally will have ecological, aesthetic and technical training, which helps them maximize the potential of your outdoor space. Keeping in mind both style and functionality, garden designers analyze your architecture and yard to produce a plan that may or may not include location and materials for walkways, patios, water features, fences, garden aspects and more. In addition, a landscaper in Kensington, MD will carefully assess your geographic region to choose plants, trees and flowers that will flourish naturally, as well as address concerns such as drainage, screening and soil conditions. Certain landscape designers only help with the planning portion, while some may deliver the plans and then oversee a hired landscaping contractor. Others — typically following a design-build approach — take care of both the design and all aspects of the landscape architecture and construction. Before you hire a Maryland professional landscaper, consider the scope and emphasis of your outdoor project. Landscape architects, who typically hold advanced degrees in their field, are trained to develop comprehensive structural plans that include plants, hardscaping, water use, drainage and more. Landscape designers typically specialize in the aesthetic and horticultural, rather than structural, side of yard and garden planning. They might or might not have advanced training. Even within their fields, a garden designer may specialize in hardscape- or vegetation-focused designs. In some cases you might need to hire additional help to get the outdoor space you want. Here are some related professionals and vendors to complement the work of landscape architects & landscape designers: Landscape Contractors, Garden & Landscape Supplies, Tree Services, Gardeners, Lawn Care & Sprinklers, Decks, Patios & Outdoor Enclosures. Find a Kensington landscape architect on Houzz. 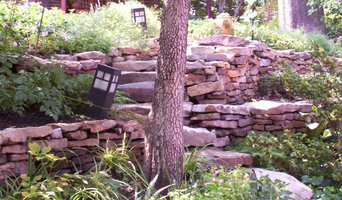 Narrow your search in the Professionals section of the website to Kensington, MD landscape architects and designers. You can also look through Kensington, MD photos to find a space you like, then contact the professional who posted the photo.